Carp and Goldfish, are they a cause, or effect, of environmental degradation? What happens after KHV is released? I attended a fantastic presentation by Dr Stephen Beatty last night. 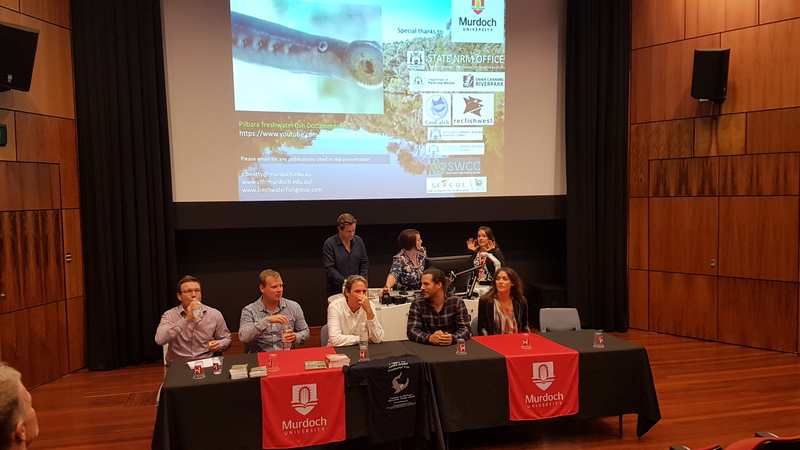 Dr Stephen Beatty is a Senior Research Fellow at Murdoch University, and his work aims to make real impact on the conservation of aquatic ecosystems. 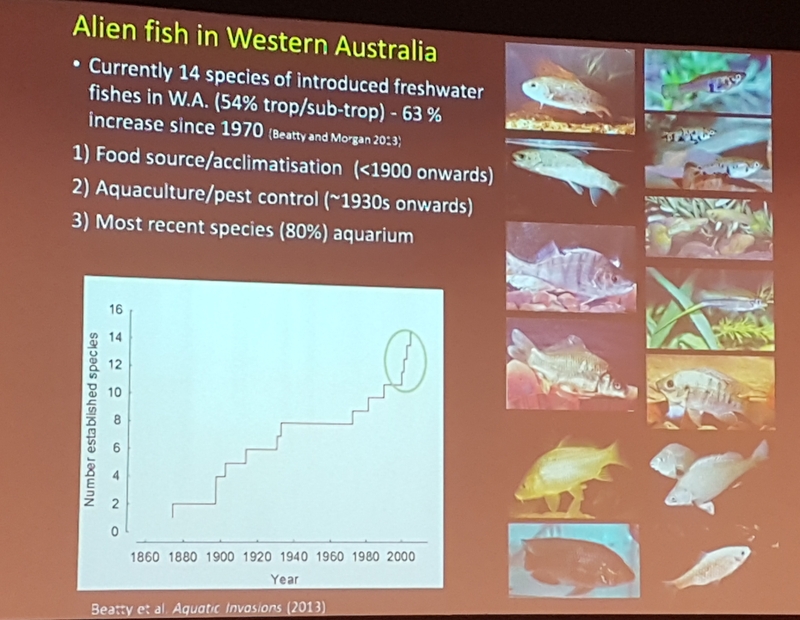 Past and current research includes the impacts of water abstraction, climate change, introduced species, and water quality decline on aquatic ecosystems with a particular focus on fish communities. On the topic of introduced/alien species, he says the impacts are difficult to quantify, because we don’t have baseline data on how the aquatic environment was, prior to human influence. And the more altered the environment is, the more likely it is for an introduced species to flourish (much like rabbits). Controlling their abundance is the most viable option. And of the 14 alien species, the most harmful to river ecology is the little mosquito fish (Gambusia). 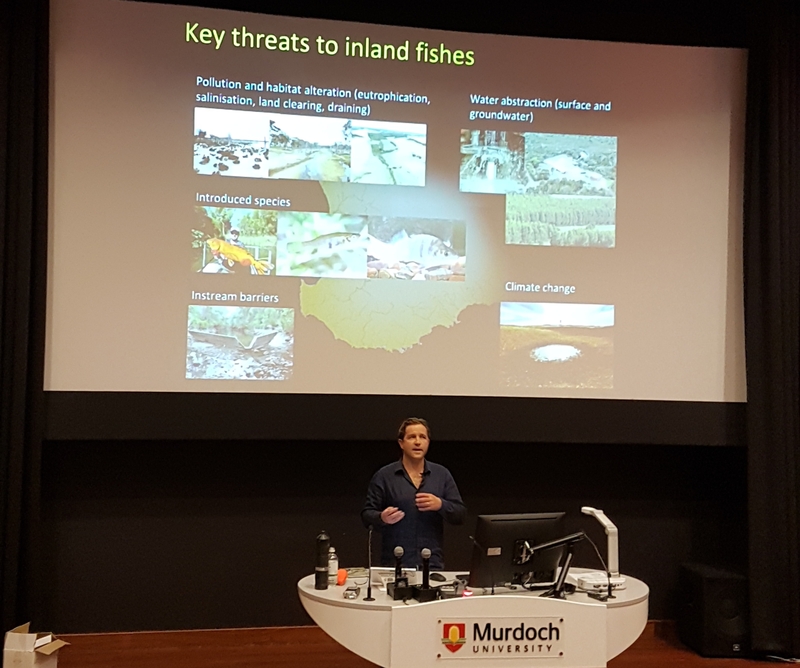 Goldfish, on the other hand, tend to colonise areas that are affected by salinity higher than 3g/L (thus, the lack of freshwater mussels and other native species is not due to displacement by goldfish). He also warns that there would be significant resource investment, and can be a waste of time and money. Novel management approaches underpinned by research. If the release of KHV is a political stunt for freshwater angler votes, I wonder if, when it’s all over and done with, will anglers be happier to catch goldfish instead? Next Post Fish Joke for Monday-itis: communication.